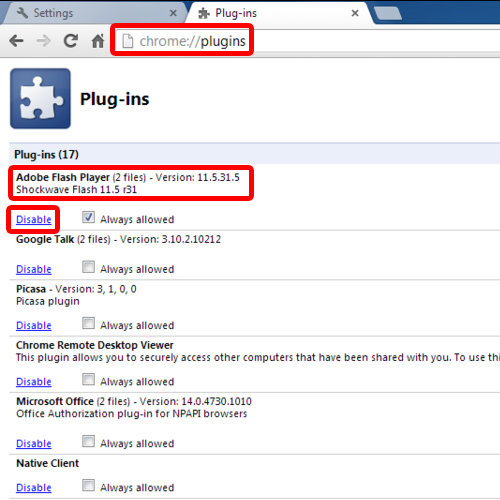 In Google chrome, you will notice that there is a built-in flash plugin by default. Even if you uninstall the flash plugin in Google chrome, it will remain there. 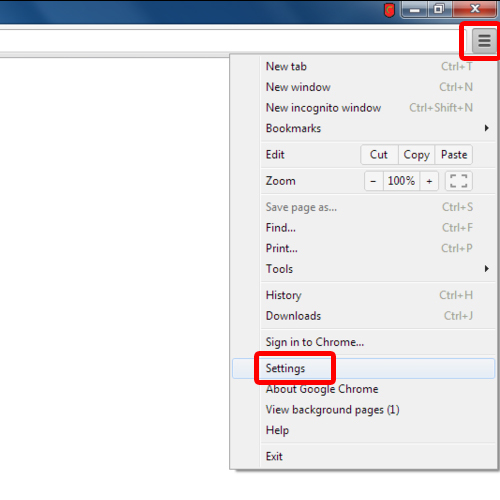 If you want to learnhow to block flash in Google chrome, follow the step by step guide below. 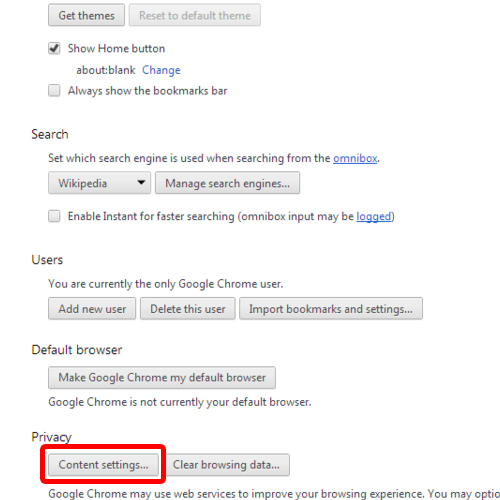 To block flash in chrome, first of all, click on the “Customize toolbar button” located towards the top right side of the window. That is represented by the button with the three horizontal bars next to the address bar, towards the right. With the menu opened up, move over to “Settings”. With that done, the settings window will open up. Over here, scroll down and click on the “Show advanced settings” option. This would load up more options in the same window. With that done, move to the privacy section and click on the “Content Settings” button. 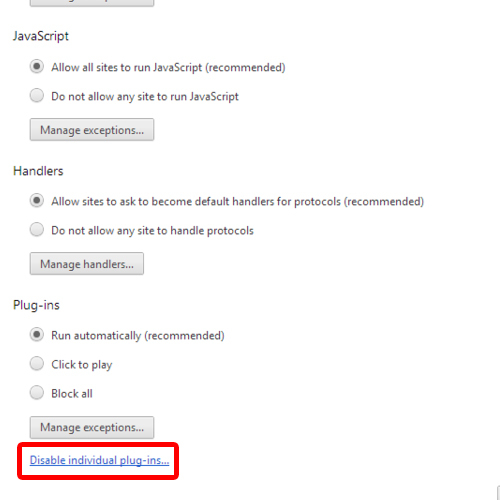 Now that the Content settings window has opened up, click on the “Disable individual plug-ins” option under the plug-ins section to access the flash plugin for chrome. Once the plug-ins window opens up, disable the “Adobe Flash Player” plugin to block flash in the browser. With that done, the flash plugin for chrome will be disabled. One thing to be noted here is that if you have installed the flash player previously on your own, you will see two files over here in the plug-ins window. To completely disable adobe flash player from the browser, you will have to disable both the plug-ins.